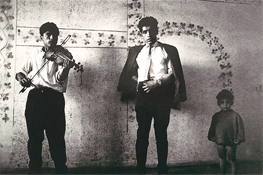 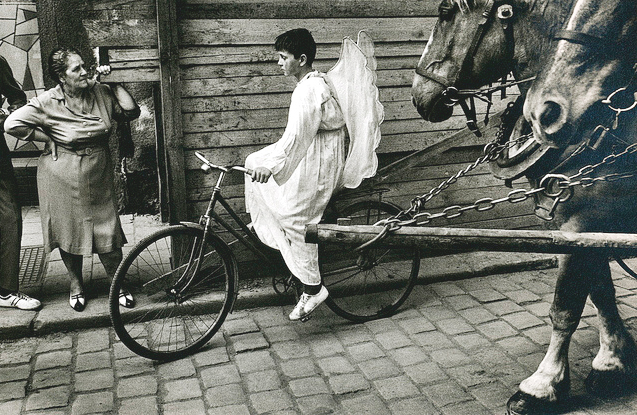 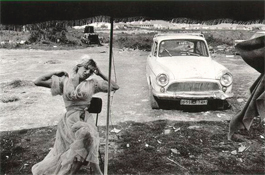 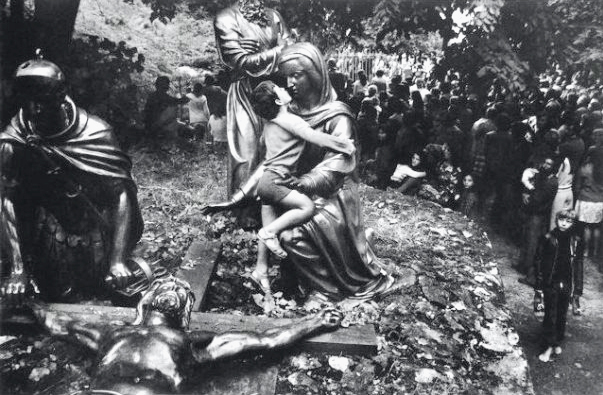 Josef Koudelka has spent as much as possible of his life as a photographer making pictures of the Romani (Gypsies) of Eastern Europe. 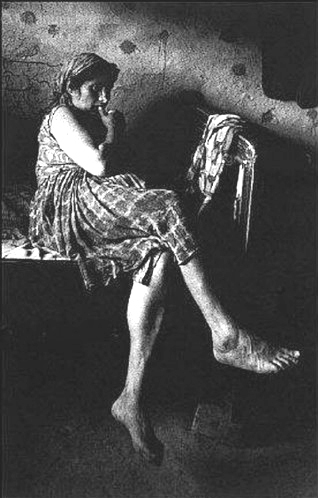 He has done this not because he was asked to, or because he thought that the world would be grateful, but because he has found the subject inexhaustibly fascinating, and perhaps also because Romani seem an endangered species, unlikely to survive much longer in Eastern Europe or elsewhere. 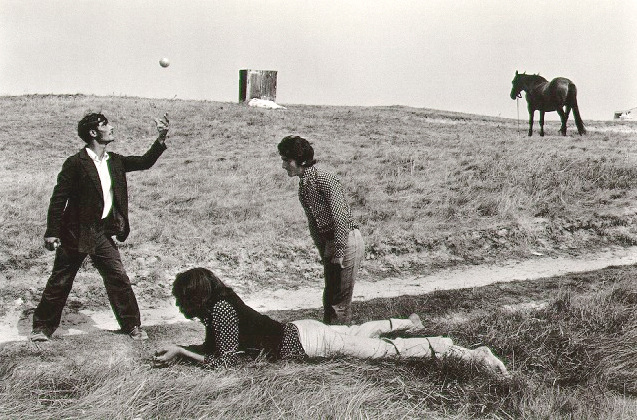 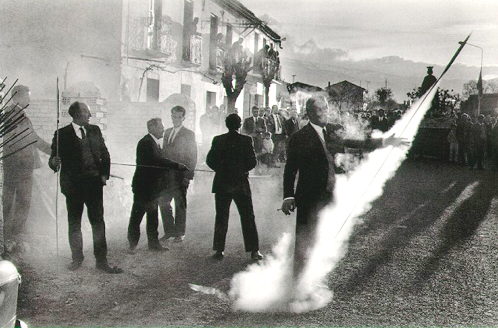 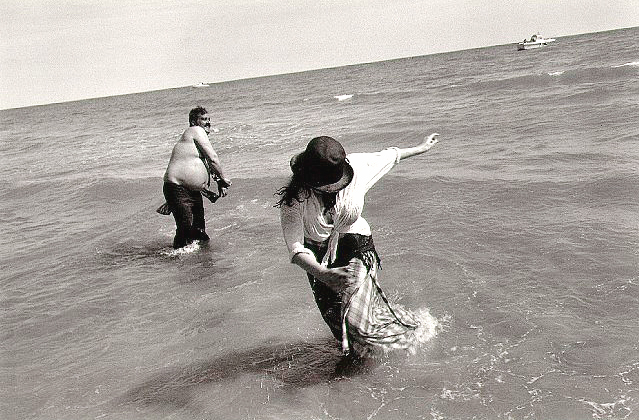 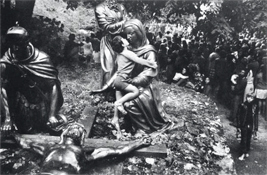 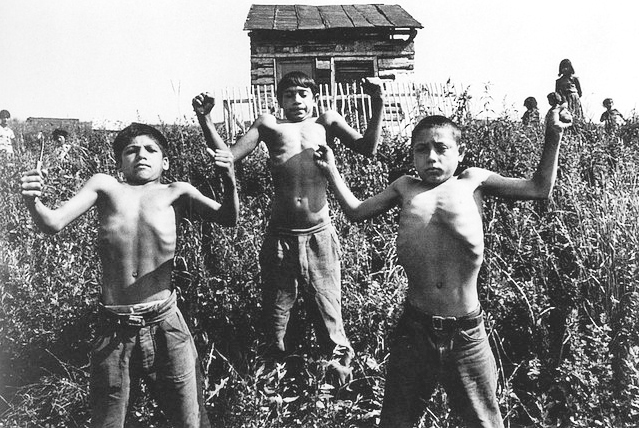 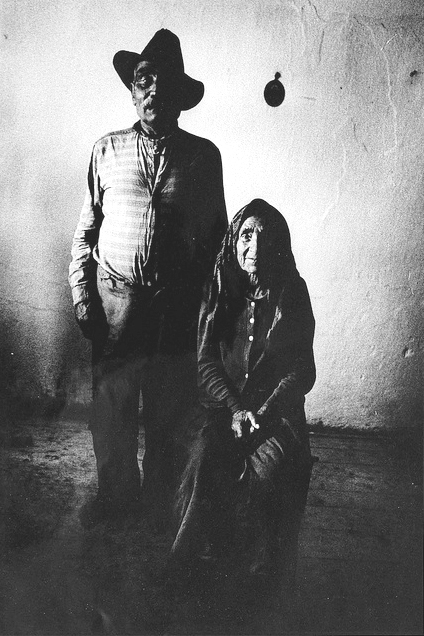 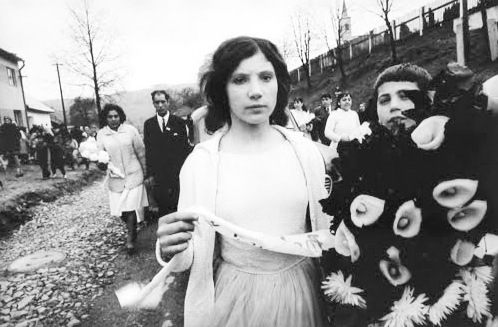 Although many of Koudelka's pictures contain information concerning the specific daily details of Romani life, such anthropological data does not seem their real point. 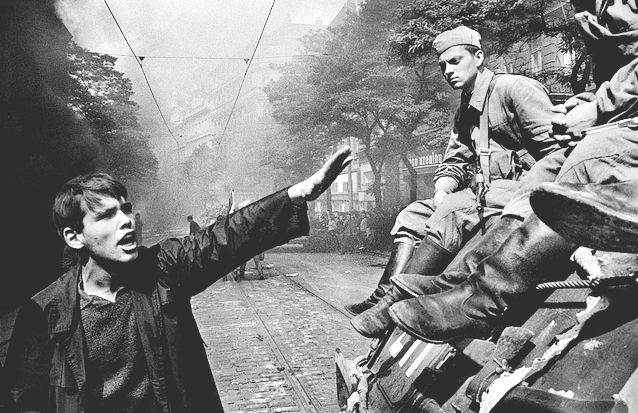 They seem instead to aim at a visual distillation of a pattern of human values: a pattern that involves theater, large gestures, brave style, precious camaraderie, and bitter loneliness. 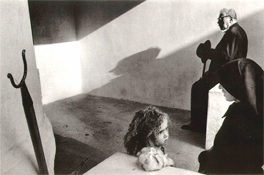 The pattern and texture of his pictures form the silent equivalent of an epic drama. 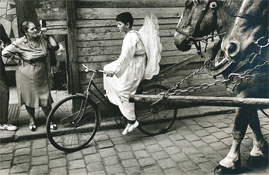 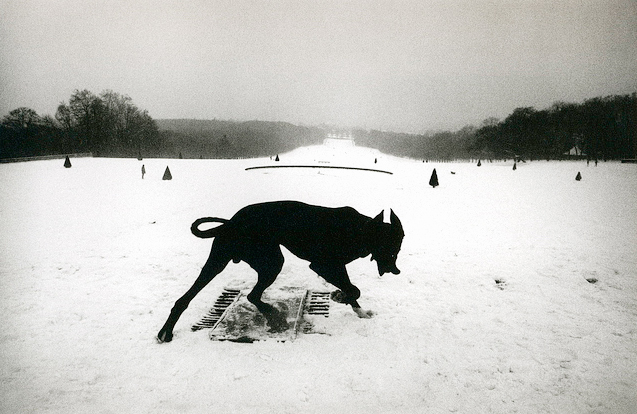 The picture reproduced here is atypical in that its subject matter is of extraordinary narrative interest, but it shares with the rest of Koudelka's work a sense of myth and a rough-textured lyricism consonant with the rhythms of ancient ballads. 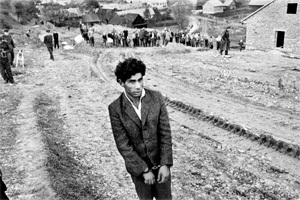 The young man in the photograph has been found guilty of murder, and is being led to the place of his execution. The officials that accompany him are not visible in the picture; he appears alone even in body as he advances toward the place. 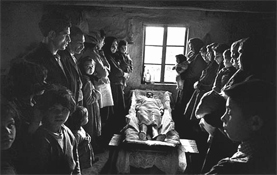 The handcuffs have compressed his silhouette to the shape to the shape of a simple wooden coffin. 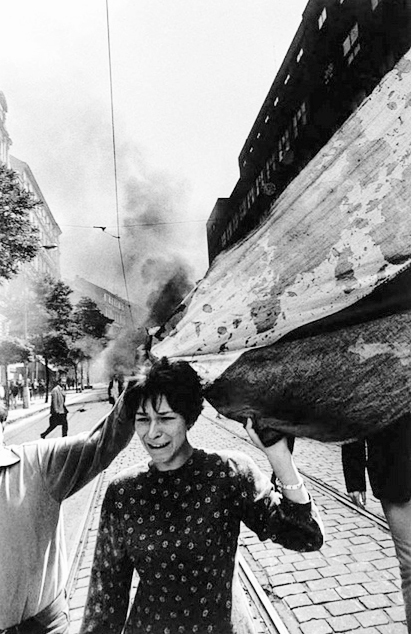 The track of a truck tire in the earth, like a rope from his neck, leads him forward. 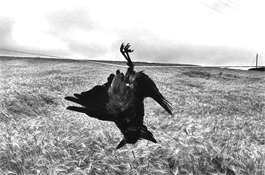 Within the tilted frame his body falls backward, as in recognition of the terror. Koudelka's unsentimental, stark, brooding, intensely human imagery reflects his own spirit, the very essence of an exile who is at home wherever his wandering body finds haven in the night. . . . 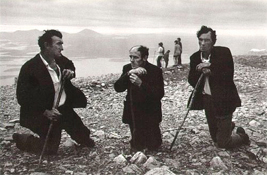 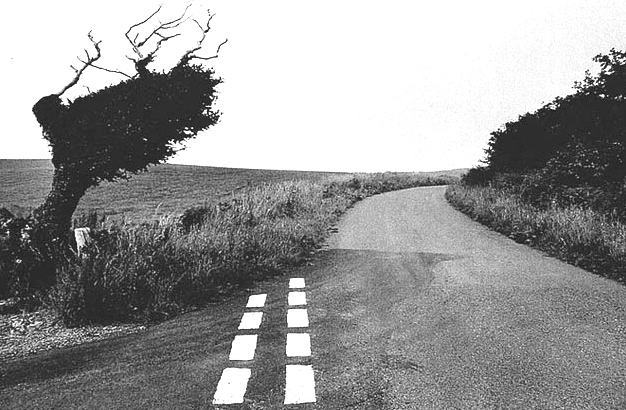 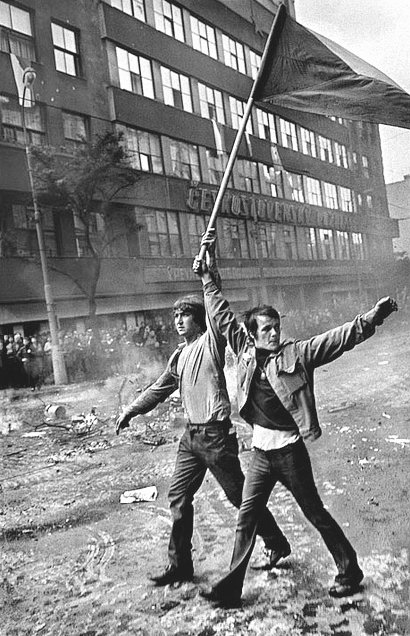 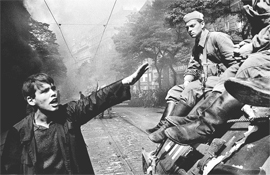 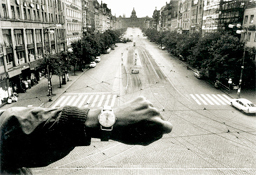 In 1968, Josef Koudelka was a 30-year-old acclaimed theater photographer who had never made pictures of a news event. 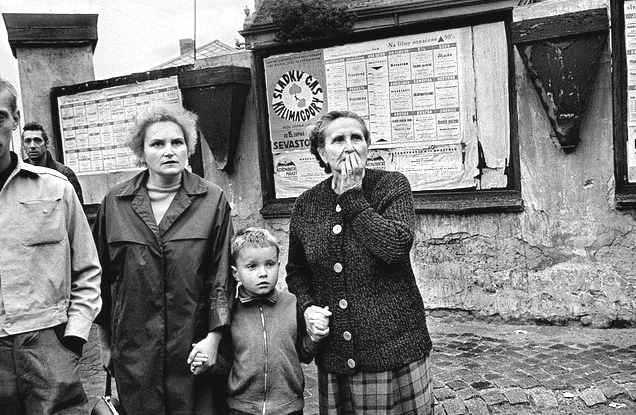 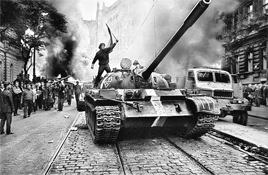 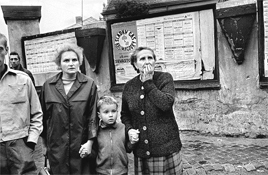 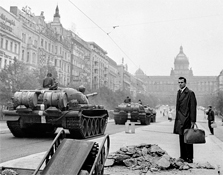 That all changed on the night of August 21, when Warsaw Pact tanks invaded the city of Prague, ending the short-lived political liberalization in Czechoslovakia that came to be known as Prague Spring. 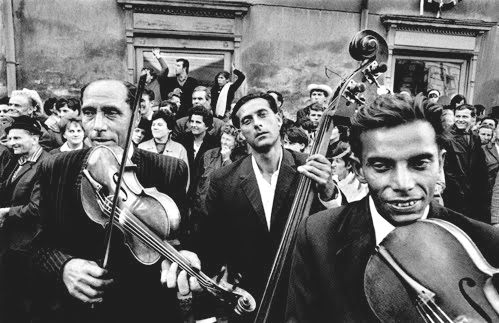 Aperture's new edition of Koudelka: Gypsies rekindles the energy and astonishment of this foundational body of work by master photographer Josef Koudelka. 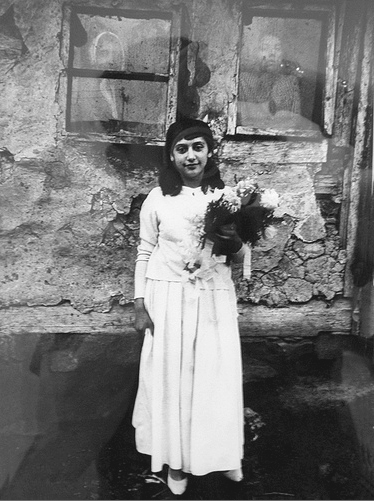 Lavishly printed in a unique quadratone mix by artisanal printer Gerhard Steidl, it offers an expanded look at Cikani (Czech for "gypsies" )--109 photographs of Roma society taken between 1962 and 1971 in then-Czechoslovakia (Bohemia, Moravia and Slovakia), Romania, Hungary, France and Spain.